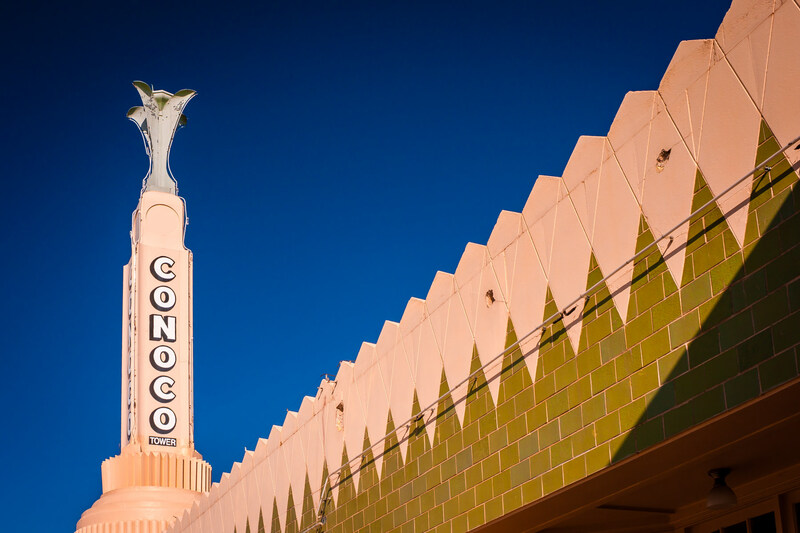 The tower at Shamrock, Texas’ U-Drop Inn, a well-known stop along the historic Route 66. 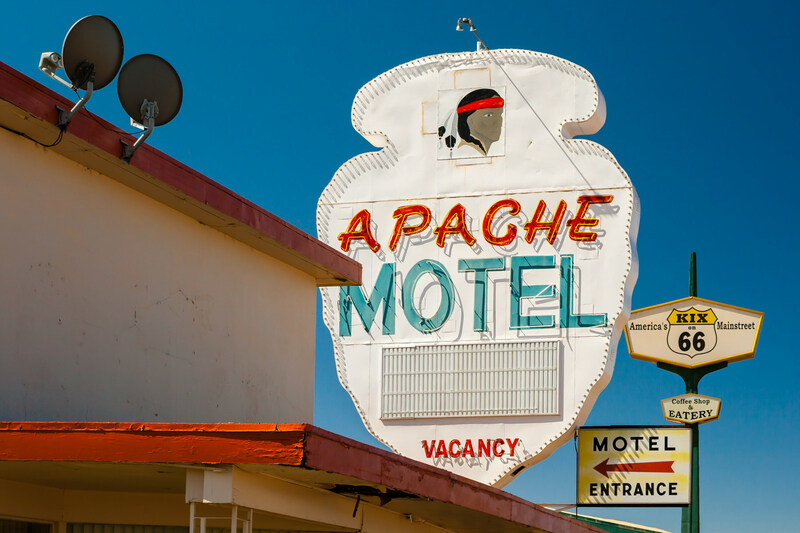 The sign at the Apache Motel in Tucumcari, New Mexico along historic Route 66. 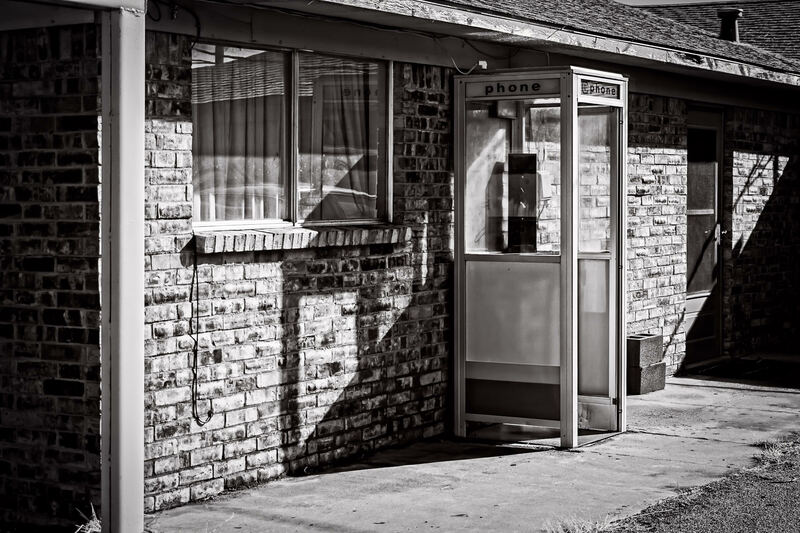 An obsolete phone booth spotted at a motel in the tiny Texas Panhandle town of Adrian.